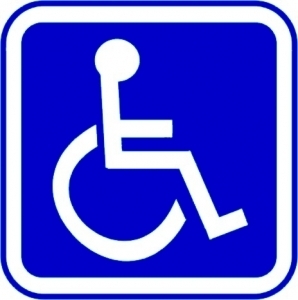 Certain design alterations are made when a living or work space is likely to be used by persons with disabilities. Handicapped residential units, hotel and restaurant bathrooms, and other hospitality institutions equip bathrooms, showers, and entryways with handrails, special hold bars, and so forth. A transition between two different flooring surfaces must also be made safe for passage.A transition threshold is a strip of material placed at this junction, usually in a doorway. Where tile meets carpet, for example, the threshold provides an efficient water barrier while at the same time making it easy for foot traffic or wheelchairs to safely pass. Designers of home and commercial interiors often specify marble or other natural stone as the preferred transition material. Stonexchange is a Miami-based company that manufactures and imports all of the popular styles and colors of natural stone thresholds. We supply product in bulk quantities to construction companies, flooring accessory retailers, and home improvement store chains. Because we import our products in full container loads, prices for crate or pallet orders are discounted significantly. We are a leading supplier of handicapped marble thresholds for showers and bathrooms in the Miami area and surrounding region. What Is A Handicapped Bevel Threshold? Thresholds are shaped and cut according to their intended use and the type of floor transition over which they will be placed. These strips of natural stone are generally thinned down to about 5/8-inch in thickness and have smoothed, rounded edges. Standard bevel size is 1/4-inch, but handicapped bevel thresholds usually have a much longer, gentler slope along one or both of the long sides.In shower or bath areas, the junction of floor tile and shower stall is often covered by one of these strips. However, the threshold itself presents a tripping hazard unless it is gently sloped. Giving the transition saddle a double bevel will also ensure that wheelchairs can safely pass over the strip of marble or other stone. The threshold also acts as an efficient water barrier. The stone keeps moisture from seeping down through the flooring surface junction, and it also prevents water from flowing from the shower stall to the rest of the bathroom. The marble strip is as functional as it is beautiful. Because natural stone is often used for bathroom flooring tiles, walls, and even the countertops, matching the style becomes important. If a marble threshold was the only piece of natural stone in the bath area, it would present a visual inconsistency. This is why interior designers and architects usually accent other areas of the interior with similar accessories made from the same type of natural stone. Transition saddles are cut as strips of marble or other natural stone, their edges are beveled and rounded, and the piece is given a high-quality polish. The lower side is often brushed and left unpolished to make it easier for the installer to affix the threshold to the supporting substrate material. Each style of threshold has a specific intended use. Standard double bevel thresholds are normally placed in residential interiors, usually in a bedroom doorway. The most common widths are 2-inch and 4-inch, and the threshold acts more as an accent feature than as a moisture barrier. Both of the long sides have a sharp, 1/4-inch bevel. These saddles are not considered handicapped bevel thresholds because of their narrow design. Most designers and architects specify the use of narrow, standard double bevel thresholds as a complementary feature to other natural marble stone used in the nearby vicinity. However, the use of narrow thresholds is common in the bath areas where a simple water barrier is required. Single Hollywood bevel thresholds are usually 4-6 inches in width and have a longer, 1 3/8-inch bevel along one of the long sides. Most commonly used as a flooring surface perimeter material, these saddles can also act as a simple ramp when placed at a junction where one surface is slightly elevated above the other. This makes transition easier for foot traffic and wheelchairs. These bevels are generally 5/8-inch in thickness, but can up to 3/4-inch thick. Single Hollywood bevel thresholds are commonly used in hotel lobbies and at the entrance to rooms that have been reconstructed with a slightly higher or lower floor elevation. Some renovation projects involve the stripping of an old floor covering and replacing it with a thicker carpet or layer of hardwood. The single bevel on these thresholds makes it very easy for traffic to pass through the junction. Double Hollywood bevel thresholds are commonly known as handicapped saddles. These thresholds are at least 4 inches in width and have a 1 3/8-inch bevel along both long sides. Often referred to as hotel thresholds, they are specifically designed to act as both a water barrier and wheelchair accessible junction covering.These saddles are usually specified as the material of choice for hotels, resorts, multi-family developments, retirement communities, and public commercial buildings. Depending on the expected volume of pedestrian traffic and the type of junction over which they are placed, double Hollywood bevel thresholds can be up to eight inches in width and have a thickness of up to 3/4-inch. Stonexchange carries all three styles of natural marble stone thresholds. In addition to the standard sizes mentioned above, we also manufacture custom-size transition saddles for projects requiring specific sizing for unusual floor surface junctions. Our company does not charge an extra fee for these non-standard size piece orders. Marble comes in a wide variety of colors and patterning styles, but most commonly used are neutral tones, off-white, and black. Stonexchange manufactures and distributes top-quality marble thresholds in each of these color shades, and we also fabricate a specialized engineered stone that is bright white with no patterning whatsoever. All of our threshold materials are expertly cut and shaped, are given a high polish finish, and are packed in full crate containers for easy delivery to any commercial address. Crema Sahara Marfil is one of our top-selling color shades. This is a popular cream/beige marble that blends well with other neutral colors. It is similar to Bursa and Botticcino, has moderate streaking and blotching, and has medium light reflectivity. Nuevo White Carrara is the name of our off-white marble. This color has long been a favorite for exterior use, but modern designers have now begun to incorporate this shade into residential and commercial bathrooms, office suites, and hotel lobbies. Nuevo White Carrara has a slight milky appearance that is complemented by the wavy streaks of gray or black. It reflects light very well when polished, and it gives an interior a stately, elegant look. Nuevo White Carrara marble is very similar to and replaces Alabama, Cherokee, Georgia, or Vermont White marble. It is often specified as the preferred marble for shower stalls located in bath areas accented with dark tones and tall mirrors. White Carrara marble looks its best when complemented by black, white, and silver accents.We also carry Absolute Black Granite thresholds. This product resembles Galaxy granite and is quite dark with very little patterning. This color shade creates a powerful visual image when used as a threshold, especially when other room accents are also very dark and are complemented by lighter shades of furnishings and fixtures. Our Pure White Thazoz floor thresholds are made from a mixture of powdered glass and specialty resins. It is brilliant white in appearance and has zero moisture absorbency. It is intended for use as a replacement for Thassos marble, and is generally specified for use in luxury development projects such as resort communities and contemporary design office complexes. Because we are a manufacturer as well as importer, we keep our materials cost to a minimum. We import full-container loads of product on a regular basis, and our inventory of premium-quality marble thresholds is always maintained at a high volume level. Contractors, merchants, independent installers, and flooring product companies can rely on Stonexchange for quick order processing and shipment of material. Most of our clients are construction contractors, dealers, and merchants who sell to installers. Orders placed for thresholds generally specify quantities between 50-1000 pieces. Our company can easily handle orders of this size because our distribution center is stocked with full-crate shipments from our overseas manufacturing facilities. In Miami, the mild climate means a constant high level of construction and renovation. Our clients favor us over the competition because we are locally headquartered and make our products available year-round. We are the most dependable supplier of handicapped marble thresholds for showers and bathrooms in the entire region. Very few importers of natural marble stone operate their very own manufacturing centers. This is what sets our company apart from the rest. We offer genuinely low wholesale pricing on all our marble products, and our materials quality is second to none. Contact us today and start saving money on high-quality natural stone thresholds from Stonexchange.